As we witness the twilight of a beautiful soul, I pray that God forgives and has mercy on the soul of Former Sultan of Sokoto, Alhaji Ibrahim Dasuki and makes honourable his reception… May Allah keep him safe and sound, protect the place where he has rested and make his entrance wide; bless him for his good deeds and surround him with a garden filled with beauty. I thought of writing a sort of tribute to former Sultan of Sokoto, Alhaji Ibrahim Dasuki, a while ago when I heard that he was ill. Back then I thought, “How can I say a few words that will do justice to all of the years of dedication, service, adoration and strength that former Sultan of Sokoto, Alhaji Ibrahim Dasuki gave during the course of his life?” Now, as I reflect on the grief of his passing in the past couple of months, as we all have had to finally come to grips with the inevitable, I felt it was apt to scribble a few words. However, no matter what and how much anyone writes, I truly do believe that the real tribute to the former Sultan’s life will be the positive actions emanating from all those whom interacted with him during his lifetime; that they are testament to the love and lessons that he instilled in all the people who personally knew him and many who didn’t. To be told of how his family rallied together to care for him in his dying days; to see and read the accolades and tributes that have poured in, in the last couple of months since his passing, is to see that love for him demonstrated in action. After speaking with some of his loved ones on his demise, I settled on telling the story of a Sultan, a son, a leader, a husband, a father, a friend, a neighbour, a philanthropist, a grand father, a great-great grandfather, a patriot, which conveys the message of what his love and strength has meant and still means to so many people. Perhaps, the best way to do it is by speaking of who he was as a private citizen, writing directly to his family, an account whose underlying message teaches the lesson of his life to us all. In the past couple of weeks, I have spoken to many people associated with him and read a great deal about the life of the former Sultan, Alhaji Ibrahim Dasuki. Amidst the discussions and the pages, stories hit me with their messages! While it would be impossible to relay or paraphrase some of the accounts that I would have wanted to, however, I hope I can articulate the same metaphors I came away with, about the strength of this past leader’s love for his family, country, Deen, tradition and his calling. As pained as we were at his passing, we must take consolation that the late Sultan played his part in the development of the Nigerian nation through various platforms of service to humanity. He was indeed unassuming and affable to all that came his way. As a Muslim, my solace continues to lay in Allah the Most High, as His decree cannot be altered. For one to live up to the age of 93 indeed is a blessing. From all indications, the late Sultan lived a life of virtue and earnestly championed the cause of Muslims. He was widely known as a man of honour, a patriot and a leader who stood for justice. His death was no doubt a big loss to the entire ummah, the Sokoto caliphate, and particularly his immediate family. He will eternally be remembered for his steadfastness and absolute faith in Allah, even in the face of severe adversity. Sultan Ibrahim Dasuki, the 18th Sultan of Sokoto, was born in Dogon Daji, Sokoto State. In 1931, he attended Dogondaji Elementary School before proceeding to Sokoto Middle School in 1935. He finished his secondary education at Barewa College on sponsorship from the Sokoto Native Authority in 1943 and subsequently went on to work as a clerk in the treasury office of the organisation, as was the tradition in Northern Nigeria for grant recipients to work for their sponsors. Two years later, however, he took up appointment with Gaskiya Corporation, a publishing house that published the Hausa daily, Gaskiya Ta Fi Kwabo. In 1953, heeding the call of Sir Ahmadu Bello for Northern Nigeria citizens to take up appointment in the regional civil service, he joined the service as an executive officer. A year later, he became private secretary to the Sardauna. In 1957, he filled the position of regional executive council deputy secretary and a year later he was sent to Jeddah as Nigeria’s pilgrimage officer. During the early years of independence, he worked in the Nigerian embassy in Khartoum, Sudan and was later brought back to Nigeria by Ahmadu Bello to work as resident in Jos. He later on became the permanent secretary in the regional Ministry of Local Government and also the Ministry of Commerce. From 1965 until he was crowned Sultan, he concentrated largely on his business activities. In 1966, he was chairman of the influential Northern Nigeria Produce Marketing Board, which was involved with the export and marketing of groundnut, and the distribution of seeds and chemicals. From 1967 to 1977, he was director and later chairman of the Nigerian Railway Corporation. In 1984, however, he was appointed chairman of the Committee for the Review of Local Government Administration in Nigeria. One of the major recommendations of the committee was the establishment of a national local government commission. However, the idea was rejected by the government. He was also an influential figure in the 1988 Constituent Assembly, as a nominated member, who was seen as a rallying point for the core north. Prior to becoming Sultan, he held the traditional title of Baraden Sokoto. As earlier noted, he became a close associate of Ahmadu Bello, and was also a close friend of the late Islamic scholar, Abubakar Gumi. He was equally influential in the founding of Jama’atu Nasril Islam (JNI). As its first substantive Secretary-General appointed in March, 1968, he assiduously galvanised for the unity of Nigerian Muslims and also responded aptly to issues as they unfolded. Similarly, as the President-General, JNI when he held sway as Sultan, he dedicatedly championed the cause of Muslims. On December 6, 1988, he became the first Sultan from the Buhari line of the house of Uthman Dan Fodio, after the death of Abubakar Siddique, the 17th Sultan of Sokoto. As Sultan, he was considered a modernist who endeared himself greatly to the Sokoto populace and the entire Muslim ummah. He built 10-Quaranic schools in 1990 and established several adult literacy classes. He also tried to unite the Muslim ummah through the reorganisation of JNI and the Nigerian Supreme Council of Islamic Affairs (NSCIA). He also gave impetus to the appointment of Lateef Adegbite, who became the first Yoruba secretary general of the NSCIA. I hope I can relate some of the simple, happy things that former Sultan of Sokoto, Alhaji Ibrahim Dasuki brought to his family and community. Not many people were aware of his great sense of humour and his wit and teasing; especially with his family members. He could say so much with one perfectly delivered line. He was very free with his family, who he made to laugh a great deal. His greatest hobby was playing with his kids and grandkids. He played with the young children a lot and knew the names of every single one of his children and 81 grandchildren. He endeavoured to give each of his grandchildren humorous nicknames. However, as much as he played, he was also firm and everyone, especially the children, knew their limitations with him. For instance, the children wouldn’t just open up his bedroom door without him asking them if they could come in first. I pray that each one who knew him thinks of all of the good he gave and that they continue to tell stories of how he affected their lives. I’m sure that would be the best tribute form of to him, and that would be what he would want. He was such a wonderful and caring man; one whom everybody could respect, treasure and adore; one who had such a loving and caring disposition. How deeply and tenderly he loved so many; and so many felt the same way about him. 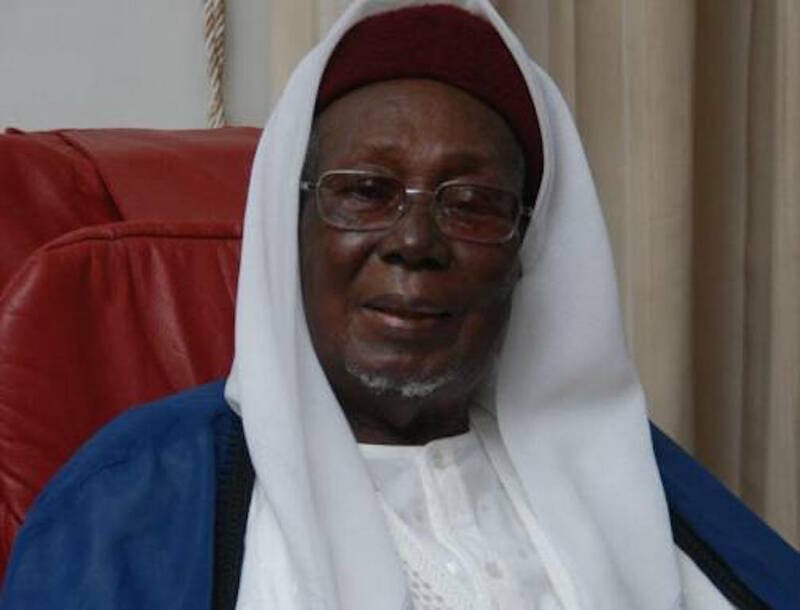 The story of former Sultan of Sokoto, Alhaji Ibrahim Dasuki is one of a life well lived. No matter what the role he played, he did it well. For those who fondly called him ‘Baba Sarki’, I speak to you, “never forget how much he loved you all and showed the world how special each one of you is. He was the Prince of Princes. He was thoughtful and honest, a man of strong principles. He cared so much for the people in his neighbourhood. He did so many good things within his environs that people were not aware of. One example was when he moved to Miyetti Allah in Kaduna, where he had a generator in his house. Since most people in the neighborhood didn’t have generators, this made him feel awkward. He felt the plight of those surrounding him not having access to that which he had. So he ordered for the provision of light bulbs for the whole neighborhood. It just was unacceptable for him knowing that some of his neighbours did not have access to light. He was further concerned about the noise that his generator made and felt it was unfair to the neighbourhood. He wanted all his neighbours to have light and did everything in his power to ensure his neighbours enjoyed the kind of comfort he did. He ensured that his neighbours had light, while not being subjected to the attendant noise pollution of the generator. The story of former Sultan of Sokoto, Alhaji Ibrahim Dasuki’s good neighbourliness and thoughtfulness did not stop there. Whenever there was a celebration and ram, sheep or cow was slaughtered in his house, he first made sure that the family was given meat, then he ensured that all his workers were also given the meat, and thereafter he made sure that his neighbours were given some meat. He adopted and looked after many children and families. Many who came into contact with him saw a great enhancement in their lives. He was a kind man. Everybody around him benefited from his kindness. He enhanced the lives of his aquaintances. He adopted the children of friends and neighbours and treated them as his own. He stopped them from roaming the streets and put them in schools. He made sure that the kids that he adopted were enhanced and had a chance to live a comfortable life. Many of the children he adopted went on to finish their education in various tertiary institutions. Some went into politics and many have excelled in all strata and walks of life owing to his support. One of his better qualities was that he was a man whom thrived best when he was with his family. There was never any doubt that he was a just family man. Within his family, he exhibited so much justice. All his wives had a unique quality that he cherished in them but not once did he make this public. No one could come between him and his wives. No one could ever tell which one of his wives was his favourite because he treated them all equally to a fault. And each of his wives were independent. He told his wives that each of them had a unique quality and he cherished them for. That was the kind of man he was. He was never persuaded by gossip. He was pious. All the wives dealt with him as a husband. All the wives were equal in his eyes. He followed the tenants of the Quran wholeheartedly. He gave his family gifts and he did this by giving the lady that was with him to give to the other wives. Even when tavelling, he made sure that it was done equally; taking a different wife on every travel. It was difficult to speak against any of the children in front of any of the wives because there was no differentiation. When one of his wives was unable to speak in Hausa, he summoned his wives and instructed them to speak in English for the benefit of one of his wives who was unable to speak Hausa. He was over protective once it came to each and every one of his wives. Following the tenants of Islam, he treated his wives equally and justly. The same justice he exhibited at home was the same mode of justice he exhibited in every facet and aspect of life. His greatest passion was his His Deen, family, larger family and arewa. Their progress made him happy. He greatly respected the traditional rulership institution. So much was this respect that at the time he became very ill and was unable to communicate freely of speak, it was quite evident that he so adamant about speaking to the Sultan. Unable to speak to the Sultan on the phone, he gestured to see the Sultan. On the Monday before his passing, the Sultan went to the hospital to see him. Alhough he was in a coma, he responded to the Sultan’s visit with ever so slight gestures; all because of his high regard for the traditional institution. The family was quite taken aback and very surprised at his response. Baba Sarki enjoyed the simple pleasures of life. A shared smile with his grandchildren; light banter with associates. A taste to satisfy his sweet tooth and some Egba. He always seemed to have time for those who needed him. His life was a lesson to so many on how to think big, spreading his desire to explore new ideas and horizons. His consistent, sympathetic support and encouragement will be missed. He was a good listener and had a true gift for communicating, and he used it well! Everyone was treated with the same respect by him. When he gave a speech, it was always delivered with care. It was deliberate, carefully researched and rarely missed the mark. His example has set a high standard for us to live up to. His values and principles will continue through those who came into contact with him. It was rare to go to him for advise without gaining. He was never angry nor did he hold grudges. Some of his wives never saw his wrath, and he never sulked. He hardly told his wives off and hardly had reasons to. In his train of thinking, since he married a woman and took her away from her family, he had the duty to treat her fairly and diligently. He felt that burden for her parents. That was the kind of man he was. He once said that it was his philosophy for a woman to feel so happy and content in her marital house, so much so that she wouldn’t have the desire to go back to her father’s house. He felt that since a woman takes care of her husband, feeds him and brings up the children, no matter what she does, he will always find a way to accommodate her. He never discriminated towards any religion or creed. He was always willing to give his whole time and dedication to his religion, while respecting those of others. He had a unique way of relating and reaching out to all the different sects within the religion of Islam. He saw and treated them as one. He listened to their plight and did what he could to relate to them. If they were unable to let go of grudges, he would advise that they should leave everything and trust in Allah. He was able to sit and discuss with any religious sect leader; even when he did not believe in their doctrine, he would nonetheless sit and speak respectfully to each and every one of the sect leaders. He was an insightful being and the kind of person who always thought of consequences ahead of actions. He thought actions through very diligently in whatever he was going to do. He was always thoughtful about the consequences of his actions and how it would affect his people and religion in the next 10 years and beyond. He always thought ahead about how his Deen and people would benefit from his choices and actions. He had great foresight. Between Magrib and Isha prayers, he would sit with his subjects, colleagues and the Imams in the mosque to learn. He wanted everybody to be educated in Arabic and Islamic studies, right from their childhood. He never discriminated towards anyone, Christian or Muslim. His Christian photographer right from Sokoto was dedicated to him. His household staff were actually devastated at the Sultans passing because he was literally like a father to each and every one of them. He had numerous friends and related with several monarchs, Muslim and Christian. Tagwai Sambo, Sarkin Manchoc, Sarkin Kagoro were just a few of his great friends and he had a high respect for them. He had 27 children, and the youngest two are still in school. But the other 25 are married. The youngest children are twins and are 21 years old. He had 83 grandchildren and 27 great grand children. “To those who were touched by Baba Sakri, May you know that you were blessed to have known him up close and personal. Baba Sarki provided for you so much and never allowed you to lack anything. He fought gallantly to save your life in so many ways. He proved to people that education is a civil right. Nobody can ever deny his immense support. Indeed your Baba Sarki was a great inspiration and educationist, a father of the fatherless, one out of a million, a philanthropist and humanitarian plenipotentiary. “May the Almighty reward you and help you to apply patient endurance and appreciation. Indeed our spirit, possessions and families are magnificent gifts, which God has loaned us for a period and he takes them away after the termination of that period. Gratitude becomes necessary when He gives, and patience is mandatory when He takes. Former Sultan of Sokoto, Alhaji Ibrahim Dasuki, your companion, neighbour, helper, admirer, in-law, friend, father, grandfather, great-great grandfather and great-great-great grandfather, was from among that great gift which God allowed you to enjoy in a way that was fortunate and gratifying. Although you loved him, his place is with his maker now. As he has gone home, it is your duty to show patience in his death and gratitude for his life. As we witness the twilight of a beautiful soul, I pray that God forgives and has mercy on the soul of Former Sultan of Sokoto, Alhaji Ibrahim Dasuki and makes honourable his reception. May Allah keep him safe and sound, protect the place where he has rested and make his entrance wide; bless him for his good deeds and surround him with a garden filled with beauty. May he receive the gentle blow of a cool breeze, be washed with snowflakes, ice, sleet, water and everything pure and cleansed of sin as a white cloth is purified perfectly. I pray Allah admits former Sultan of Sokoto, Alhaji Ibrahim Dasuki to Paradise and may his grave be spacious and filled with abundant light. Amin.